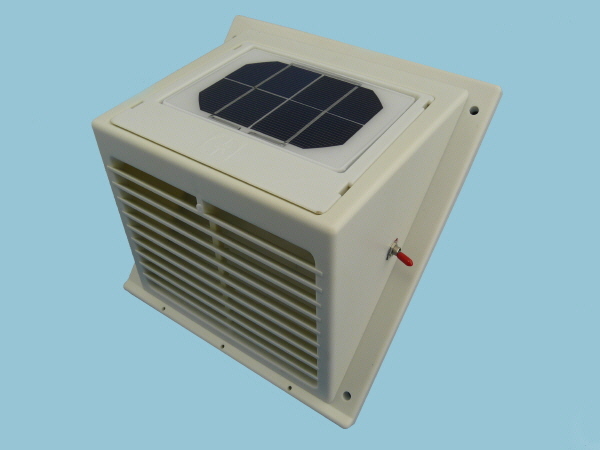 Breakthrough in technology, an extractor ventilator powered by sunlight or ambient light, no electricity and no mains power source needed. No wiring, no plugs, no noise, and once installed no running cost whatsoever. Application: For caravans, boats, green houses, RVs, trucks, lorries, vans, offices, home conservatories, kitchens or bathrooms. Lofts, horse boxes, stables, farm buildings, unoccupied holiday homes and many others.